Not many Butterflies about at this time of year in Andalucia, commonest is the Clouded yellow. There are some small white jobs about but I have to confess I have not taken to much attention of them. 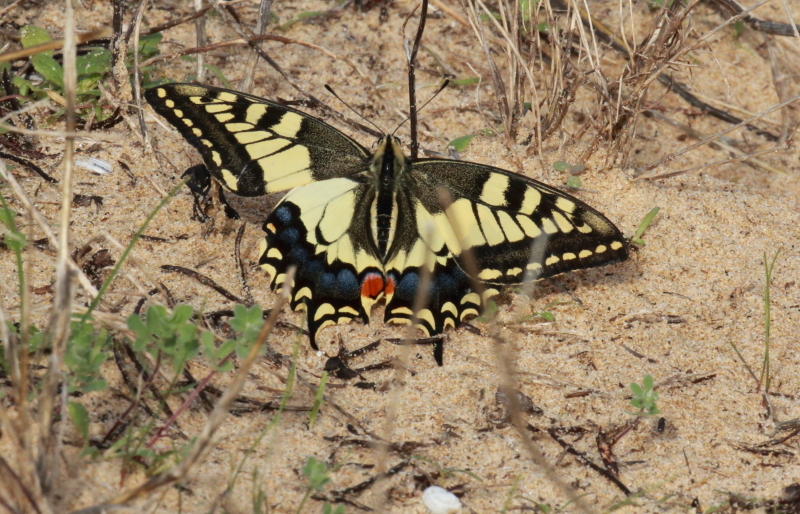 Then I saw this one a couple of days ago…quite a beauty. 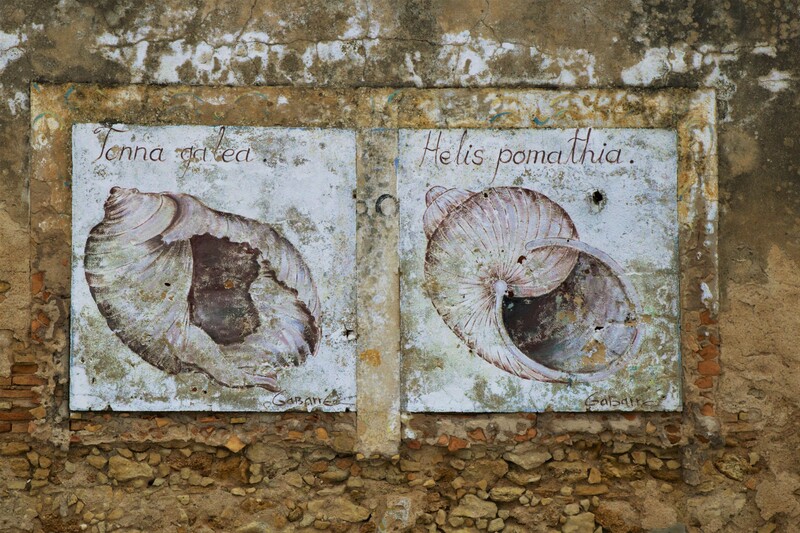 In my last post I published some wall paintings of shells from the village of Sancti Petri. I then looked back at them and they all looked quite dark. I think that they look much darker on the blog site/FB than they do on my lap top. So I have lightened them and am now republishing them because I think they deserve to be presented at their best. 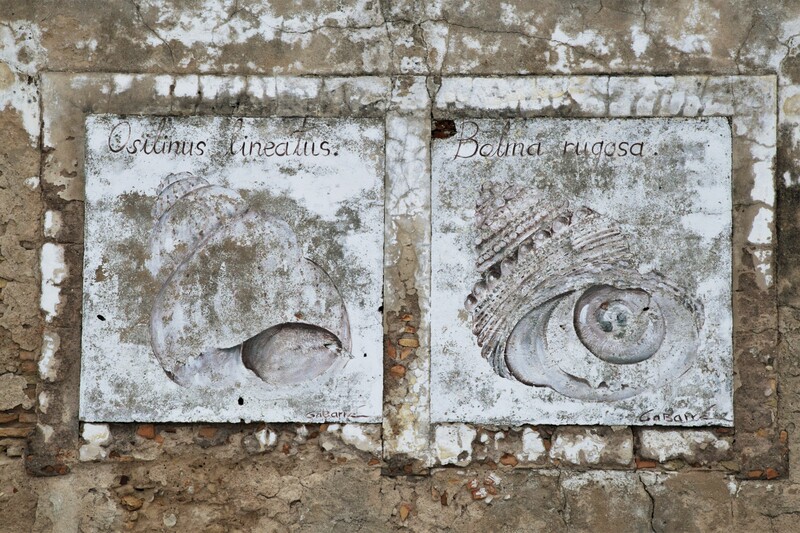 Tonna galea, commonly known as the giant tun, is a species of marine gastropod mollusc. 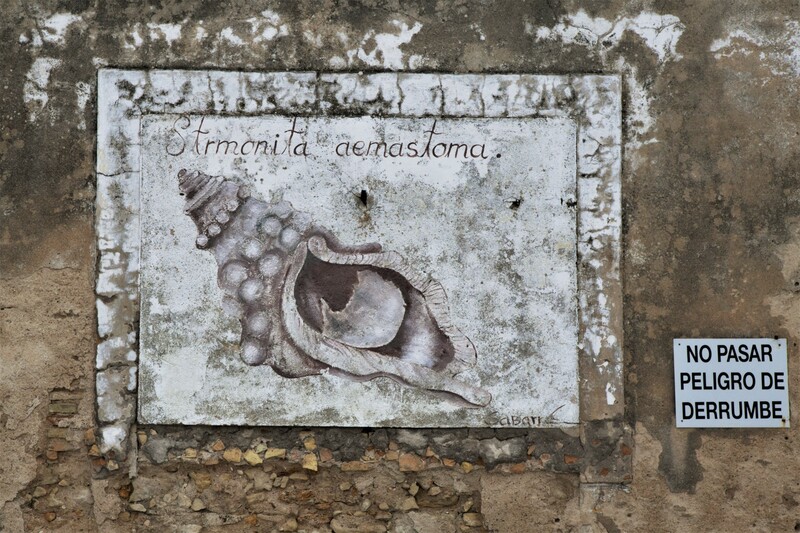 Helix pomatia, common names the Roman snail, Burgundy snail, edible snail or escargot. I like the texture of the surrounding wall, it helps to set them off. 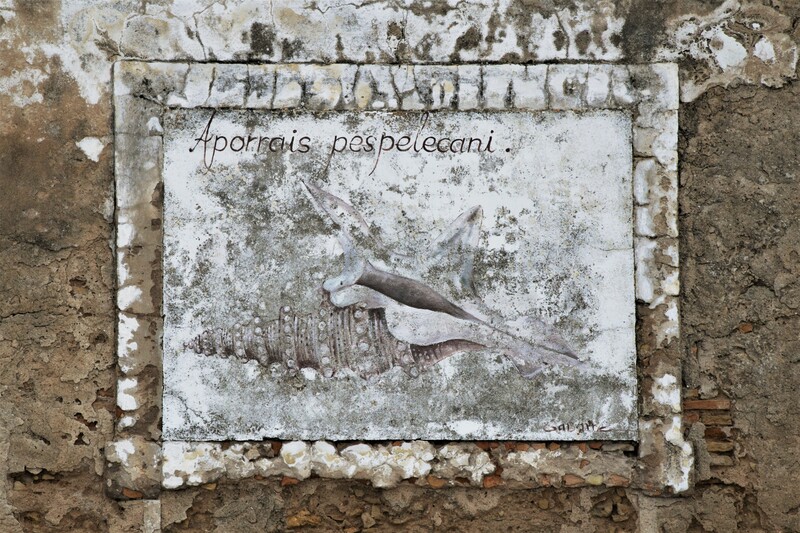 Aporrhais pespelecani, common name the “pelican’s foot is a species of sea snail. There are just five of them. Not able to find any reference to Bolina rugosa, although it looks like a Painted top shell to me. Here is the final one. Looks like a Murex shell to me but again can not find any reference to Bolinus Grand or Dolinus Grand. 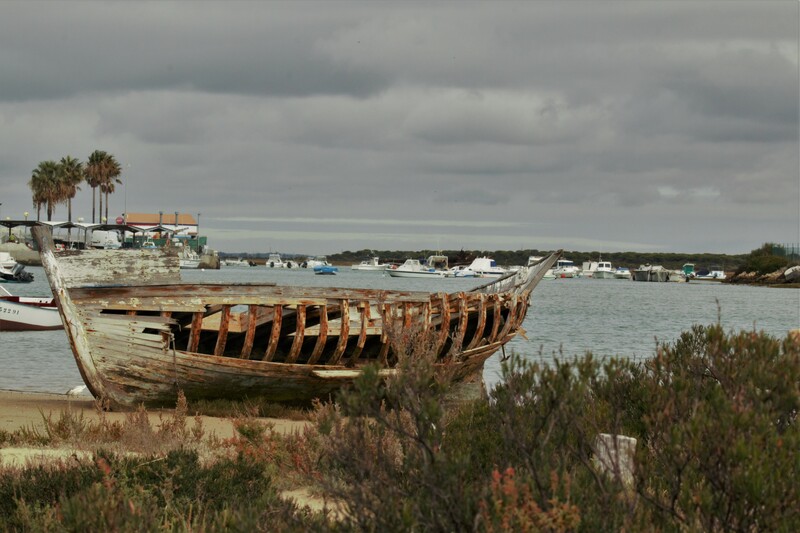 Sancti Petri is a fishing village south of Cadiz in Andalucia. It was pretty run down and deserted a few years ago. 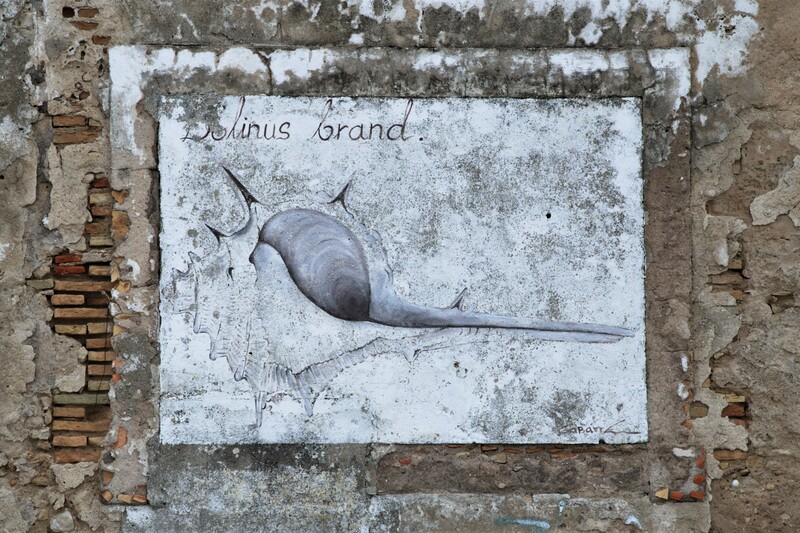 It is worth a visit if you are a birder which I am sort of? Recently it has been on the up with a few restaurants/bars and a marina there now..
At the entrance to the village is a large statue of a naked man.. large in all respects! 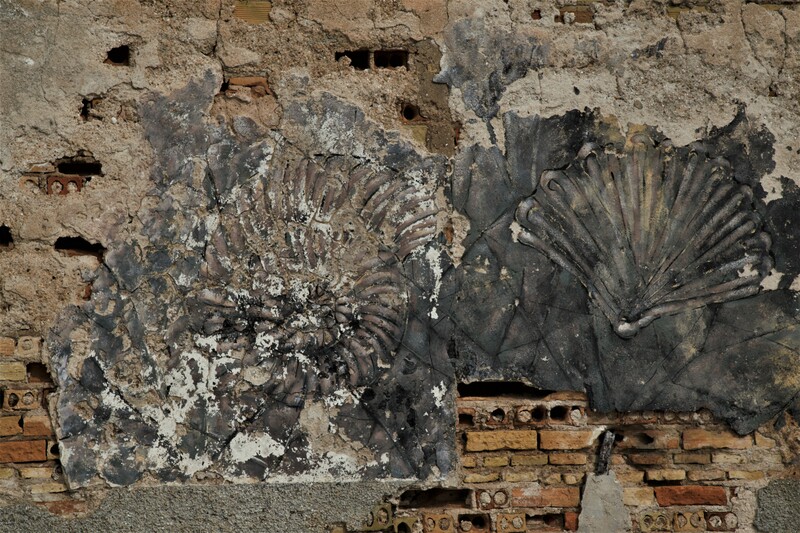 There are lots of wall paintings many of which are quite new and depict marine life. This set would appear to be older and I really like them. And this one is well past its sell by date and nearly nearly gone. I hope someone resurrects it. Saw this one a few days ago. It flew in and landed on my shirt, I was at the time wearing a rather fetching shiny green silk shirt that I bought some years ago in Vietnam….. it was olive green not too o. t. t.
Anyway I persuaded it to move off my shirt and onto some rocks so I could photograph it. According to wikipedia ‘They are distributed from the Alps east to Slovakia. Its numbers across Europe has greatly depleted in recent years, and it is a protected species in Germany, Hungary, Poland and Slovenia‘. 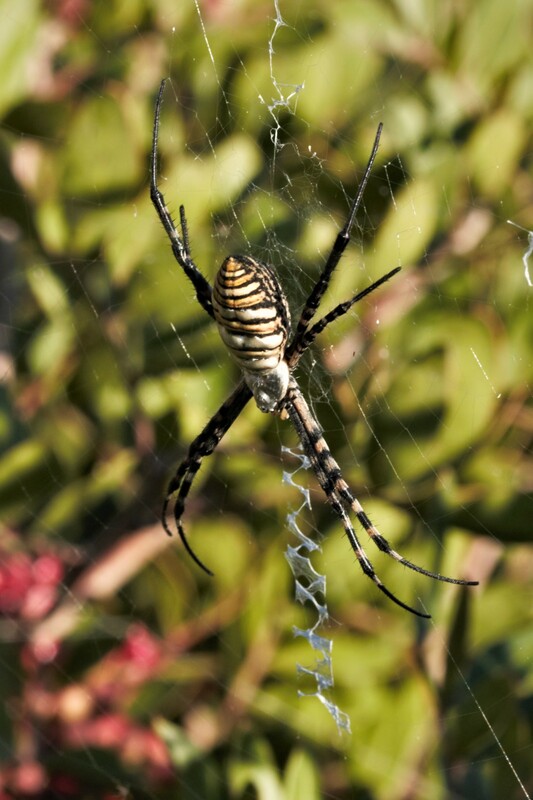 This one however was living free in the European Zoo in Poitou-Charentes, France….. a long way from the Alps. 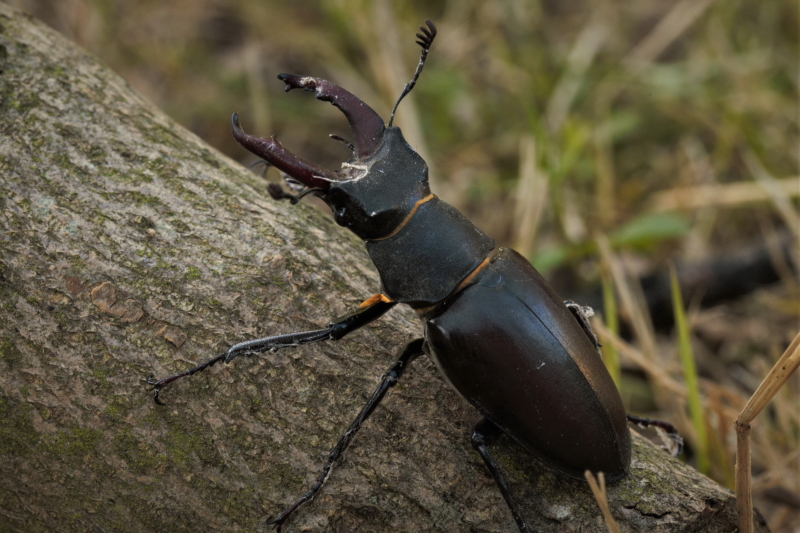 Yesterday we found this beetle in our summerhouse. 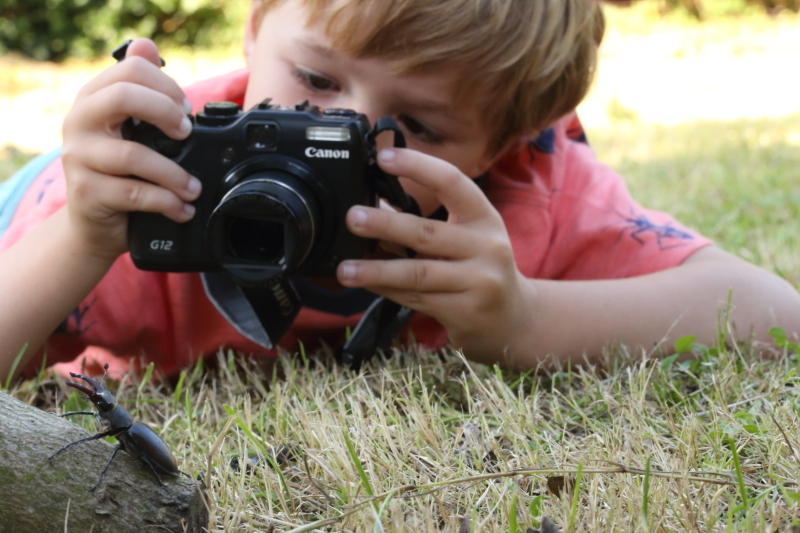 We took lots of photos of him, he was quite cooperative, Theo also took lots of photos. He is going to set up a blog for his photos it will be called Theo’s Photo Blog. Good luck with the blog … Theo. 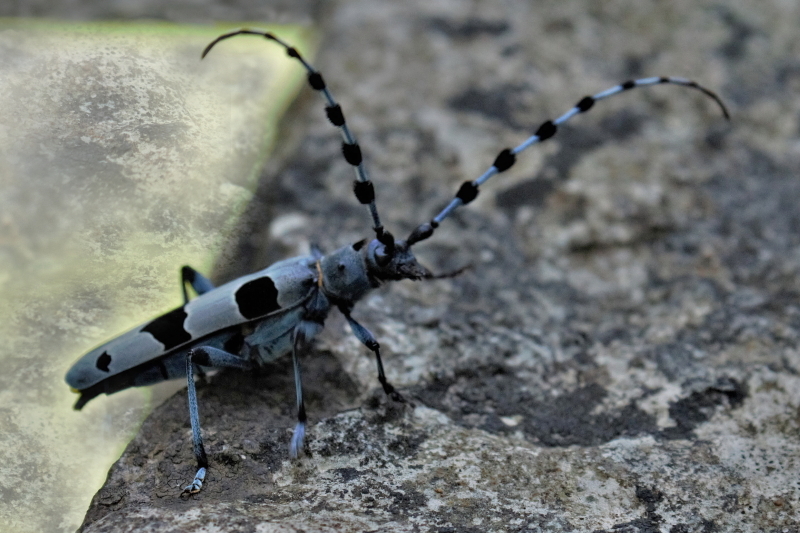 Saw this Longhorn beetle in our patch of Ninewells wood today. It was the first time I have seen this species there. They are not that rare but are only around for few weeks of the year.They can be up to 4 years as a grub living on rotten wood. Then when they hatch in June they are only around for 2 to 4 weeks. They are quite big, up to 20 mm, I would say this was about 15 mm long. 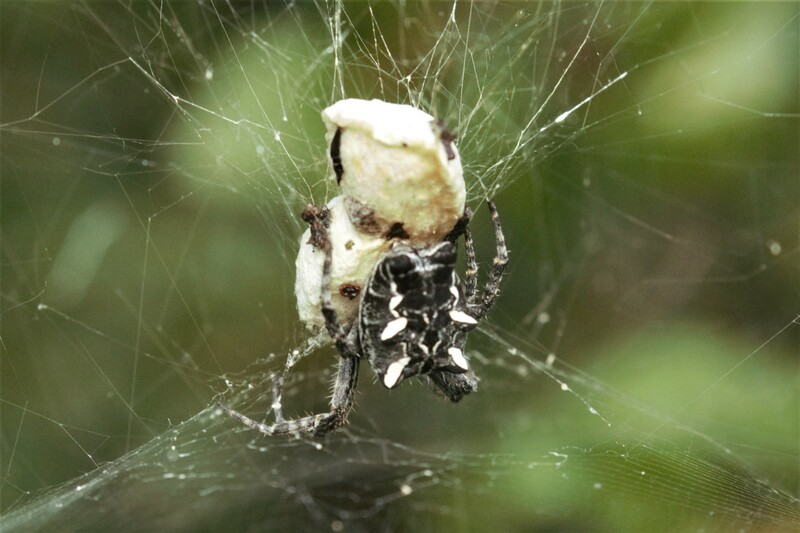 Also the pattern of the dark brown /black marks on their backs does vary quite a lot. Sometimes more banded other times more spotted. This one is sort of intermediate. I notice there is a small drop of liquid on the leaf just behind the back end of the beetle. 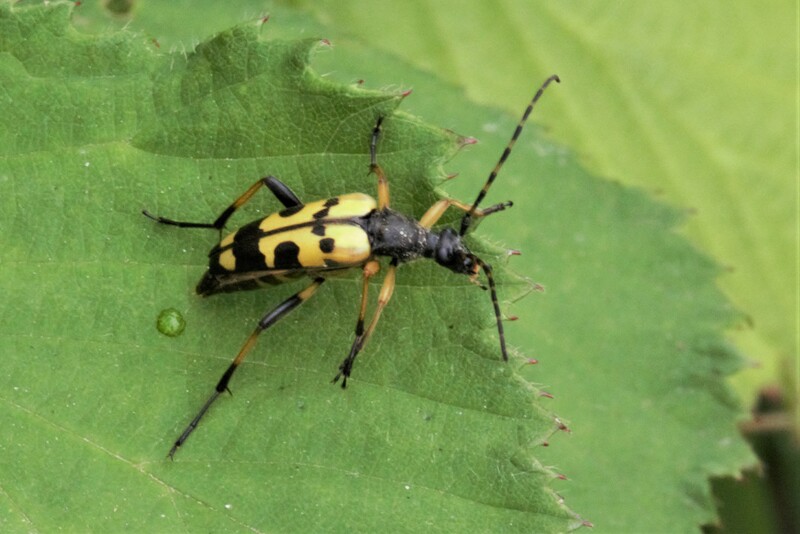 It had not been raining so I wonder if this is beetle juice/wee.